Short-term healthcare training certificates prove that you can begin a well-paid career with great job security without spending years and thousands of dollars on college. For less than two years, healthcare certificates will develop the job-specific skills needed for entry-level clinical professions that are hiring. According to the BLS, healthcare support and practitioner occupations will be the United States’ fastest-growing group adding 2.3 million jobs by 2024. Modern Healthcare reported a 43,200 uptick in healthcare employment in December 2016 alone. Completing short-term healthcare training certificate programs will open doors to work at mental health hospitals, ambulatory surgical units, skilled nursing facilities, women’s health clinics, and many more. Let’s review some in-demand healthcare vocations where simply a certificate will do. Surgical technologists don their scrubs after healthcare training certificate programs of eight to 18 months to support surgeons in operating rooms. Their responsibilities include sterilizing instruments with multi-enzymatic cleansers, counting inventories, shaving incision sites, positioning suction tubes, taking lab samples, holding retractors, and passing scalpels. A hike in surgeries will make OR tech jobs grow by 12 percent. Surgical technologists reap median pay of $45,160 for protecting patients while under anesthesia. Licensed practical nurses sit for the NCLEX-PN exam after short-term healthcare training certificate programs to assist with basic clinical care. Their entry-level tasks include taking body temperature, applying dressings, collecting urine samples, inserting feeding tubes, giving baths, dispensing medicines, and reporting records to RNs. Jobs for LPNs will rise from 724,500 to 813,100 by 2026 for 12 percent growth. Licensed practical nurses are compensated for their bedside manner with a mean wage of $44,090. Emergency medical technicians are licensed paramedics who’ve finished short-term healthcare training certificates to provide ambulance services to critically sick and injured patients. When responding to 911 calls, their duties include performing CPR, applying pressure to wounds, administering IVs, monitoring vital signs, transferring patients to hospital ERs, and documenting their cases. Demand for EMTs is projected to spark 15 percent growth. Emergency medical technicians receive median pay of $32,670 for their first-response rescue efforts. Dental assistants are primarily hired by dentist offices after short-term healthcare training certificate programs to perform tasks related to oral health. Their responsibilities include sterilizing scrapers, suctioning saliva, processing teeth x-rays, giving flossing demos, applying fluoride, handing instruments during oral surgery, and filing patient records. Jobs for dental assistants will keep increasing rapidly by 19 percent. Giving patients pearly whites leaves dental assistants smiling with an average salary of $36,940. Phlebotomists complete less than 12 months of healthcare training to certify their ability to safely draw milliliters of blood for lab testing, transfusions, or blood banks. Their daily tasks include disinfecting patients’ arms, implementing tourniquets, injecting syringes into dilated veins, applying bandages, and carefully marking each vial sample. Phlebotomy careers are poised for 10-year growth of 24 percent. Being good at venipuncture gifts phlebotomists with a mean wage of $32,710. Medical transcriptionists are certificate-level health documentation specialists with 8 to 12 months of postsecondary healthcare training to aptly type out doctors’ vocal recordings. Their job description includes listening to dictation, using speech-to-text software, proofreading for copy errors, adhering to HIPAA privacy laws, and submitting electronic records. Medical transcription is a $12 billion industry expecting 11 percent growth. Fast typers with knowledge of healthcare jargon make an average salary of $35,720 as medical transcriptionists. 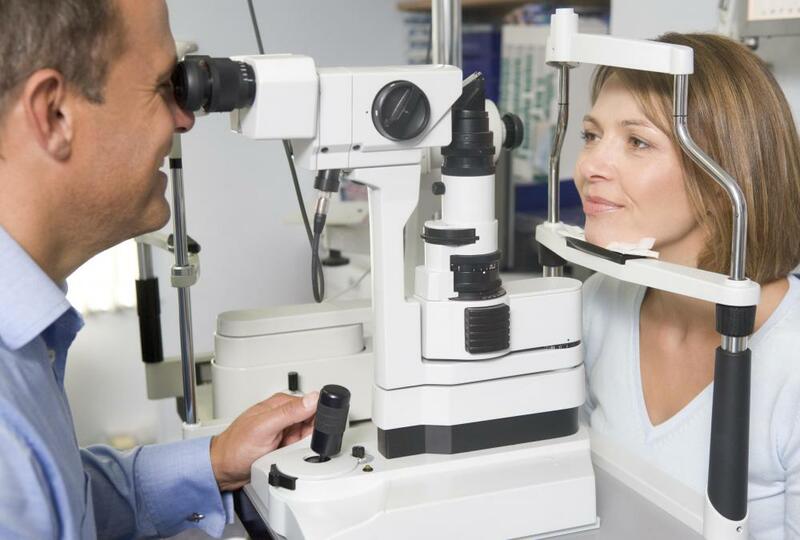 Optometric assistants are entry-level aides with short-term healthcare training certificates who help licensed optometrists provide vision care for eye health. Their duties include preparing patients for eye exams, updating EHRs, testing macular integrity, demonstrating contact insertion, fitting eyeglasses, and cleaning diagnostic equipment. Like podiatric and pediatric medical assistants, optometric assistants are expecting 29 percent job growth. Optometric assistants are rewarded for their ophthalmological support with median pay of $31,540. Pharmacy technicians also graduate from short-term healthcare training certificate programs to learn the basics of pharmacology before dispensing patients’ prescriptions. Their daily tasks include collecting health histories, counting out pills, labeling medicines with instructions, monitoring the supply inventory, filing insurance reimbursements, answering the pharmacist’s calls, and checking doctor orders. The projected 10-year job growth for pharmacy techs is 12 percent. Pharmacy technicians earn a mean wage of $30,920 for remedying ailments with drugs. We’ve only scratched the surface of jobs available after short-term healthcare training certificate completion. Other popular pathways include veterinary assistant, personal care aide, massage therapist, medical coder, psychiatric aide, and cardiac care technician. Your short-term healthcare training certificate would also accrue college credits that could be transferrable to formal degrees, such as an Associate of Science in Nursing or Associate of Applied Science in Dental Hygiene. The Hechinger Report shows that 14 percent of community college graduates transfer to four-year colleges for advancement too. Your career options after finishing short-term healthcare training certificate programs can be personalized based on your own aspirations. « What Are The Best Culinary Schools In America?